A company like VOLA needs no introduction. The classic Mid Century Modern design is a cult classic. We were still thrilled when Austin360 wanted to introduce it in their Home section! Ever wanted to add a pop of color to your bathroom? 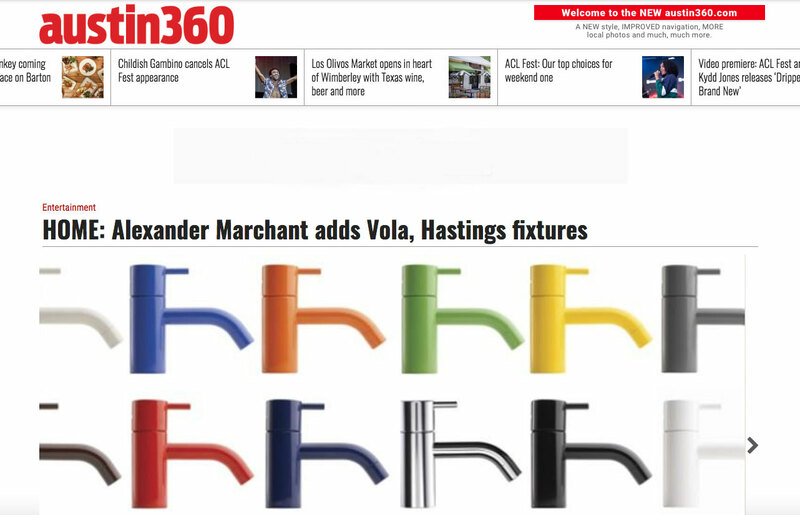 Alexander Marchant, which specializes in architectural hardware, has added Hastings contemporary tile and bath products as well as colorful Vola faucets from Arne Jacobsen. You can even select an orange faucet if you’re a Longhorn or a maroon one if you’re an Aggie.